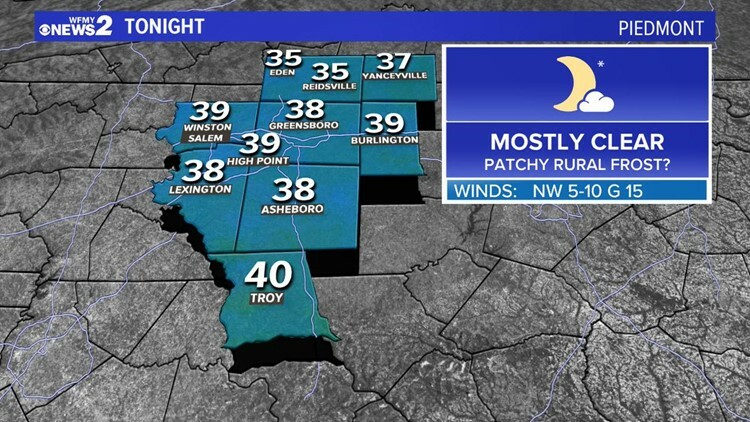 Forecast lows for the Triad area Monday night, April 15th. GREENSBORO, N.C. — It may be mid-April, but some cold air is taking a spring break in the Carolinas. It won't be widespread, but some patchy rural frost is possible for Tuesday morning. Chilly air will be moving in overnight Monday, dropping temperatures all the way down into the mid and upper 30s by Tuesday morning. This isn't always cold enough for frost, but some rural areas could get just cold enough for a light coating. 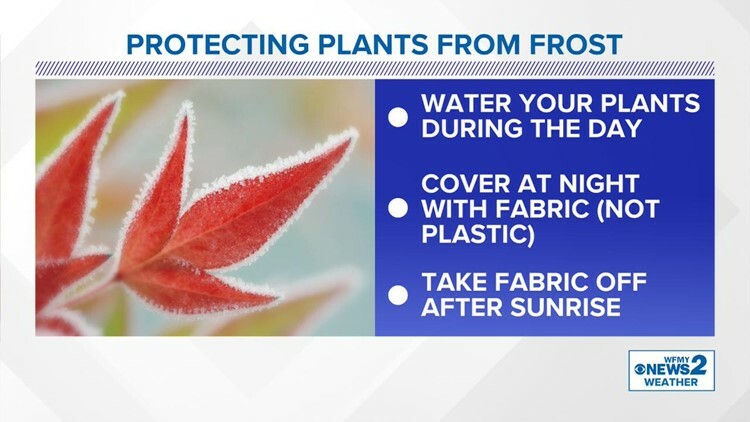 If you've gone ahead and started your summer planting, you'll want to go ahead and water your plants before sunset, then cover them with fabric to be on the safe side. Just remember to remove that fabric early Tuesday morning, and you'll be in good shape. Warmer air will return to the Triad later on Tuesday. Frost at this time in the year isn't unheard of. Our average last frost for Greensboro is about April 8th, but has happened as late as May in years past. It's important to water your plants before sundown, and then cover them in fabric after sunrise.